Cuban-American Florida senator says current leadership appeases enemies, makes dangerous concessions to Iran. Marco Rubio, a 43-year-old Cuban-American Florida Republican senator, announced Monday evening that he would be seeking his party's nomination for the 2016 presidential election. The leaders “appease our enemies, they betray our allies, and they weaken our military,” he said. He vowed to reverse “the hollowing out of our military” and “no longer being passive in the face of Chinese and Russian aggression” – a point that Israel may find especially salient today, shortly after Russia announced it was suspending the ban on providing game-changing S-300 missile systems to Iran. He took a swipe at the newly-announced Democratic candidate for president, Hillary Clinton, when he said: "Just yesterday, a leader from yesterday, began a campaign for President by promising to take us back to yesterday. But yesterday is over, and we are never going back." Rubio's announcement speech indicated has decided to turn his youth and relative inexperience into a central argument in his favor. In his speech, he told the story of his parents' struggles. 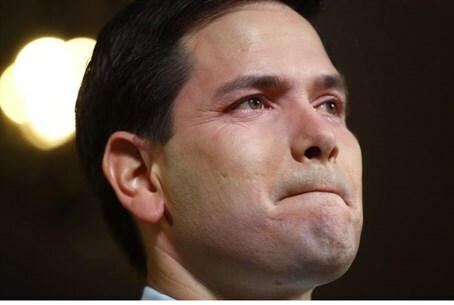 "My candidacy might seem improbable to some watching from abroad," Rubio said. "In many countries, the highest office in the land is reserved for the rich and powerful. But I live in an exceptional country, I live in an exceptional country, where even the son of a bartender and a maid can have the same dreams and the same future as those who come from power and privilege."